If you’re passionate about books and love talking to other book lovers, this is the day for you. Find out how bestselling UK author, Freya North and Irish bestseller, Patricia Scanlan got their first breaks; hear how Kate Beaufoy and Kate Kerrigan researched their latest historic novels; listen to Sinead Moriarty and Claudia Carroll talk about their favourite books; discover the inspiration behind Sinead Crowley, Martina Devlin and Marita Conlon McKenna’s new novels; and hear Sinead Gleeson talk about the wealth of short story talent in Ireland, past and present, with Lia Mills and Éilís Ní Dhuibhne. A stimulating and thought provoking day for all readers and writers. 10.00am – 10.50am This is How it Begins . . .
Martina Devlin, Sinead Crowley and Marita Conlon McKenna will read from their new novels and talk to RTE’s Evelyn O’Rourke about the inspiration behind their stories and characters. Broadcaster and Editor, Sinead Gleeson will talk about putting together her new short story collection, The Long Gaze Back: An Anthology of Irish Women Writers. She will be joined by Lia Mills and Éilís Ní Dhuibhne who both have short stories in the collection. 12.05pm – 1.05pm This Writer’s Life: UK bestseller, Freya North and Irish bestseller, Patricia Scanlan in conversation with RTE’s Sinead Crowley. 1.05pm – 2.00pm Lunch and bookshop signing – meet the authors and get your book signed at our dedicated bookshop, kindly provided by Dubray Books. 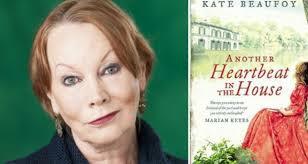 Kate Beaufoy and Kate Kerrigan both write historic novels and will talk to fellow novelist and journalist, Martina Devlin about their research. Sinead Moriarty and Claudia Carroll share their favourite books of all time and talk about how reading has inspired their own work. Discover new ideas for your own reading or your book club and share your own favourite reads with the audience. Chaired by Mary Burnham of Dubray Books.